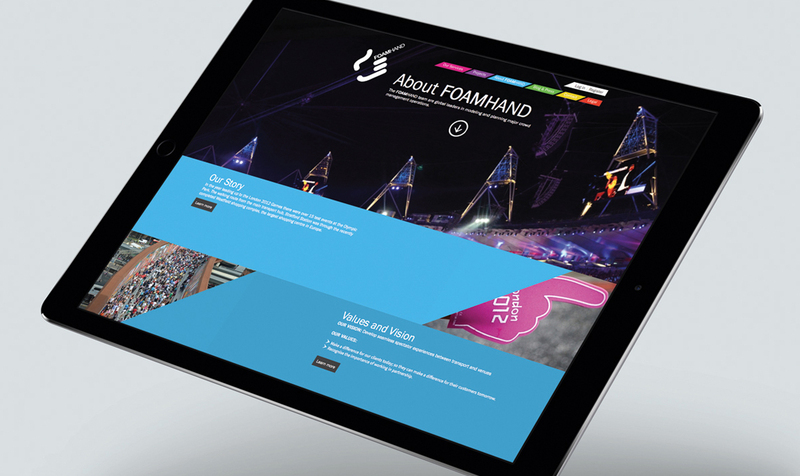 Foamhand is the global leader in modelling and planning of major crowd management operations. 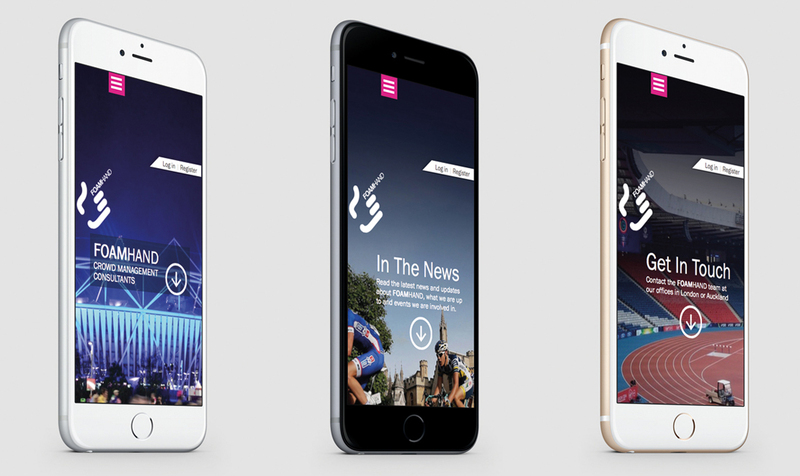 Their vision is to develop seamless spectator experiences between transport and venues on each project. The name Foamhand comes from the invention of using foam hands to guide crowds, which are easily identifiable in large crowds. After their debut at the Last Mile, the foam hands were seen at Glasgow’s 2014 Commonwealth Games. Foamhand wanted a website to help launch the new crowd management service. 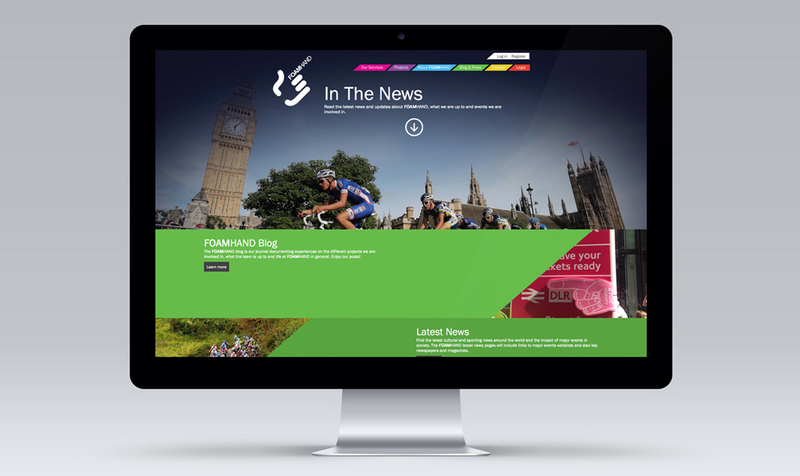 Foundry designed and built an eye-catching site, arranging information and photos to be visually appealing and informative. The vibrancy of the multi-coloured palette captured the diversity of the sport, echoing the colourful Olympic rings. 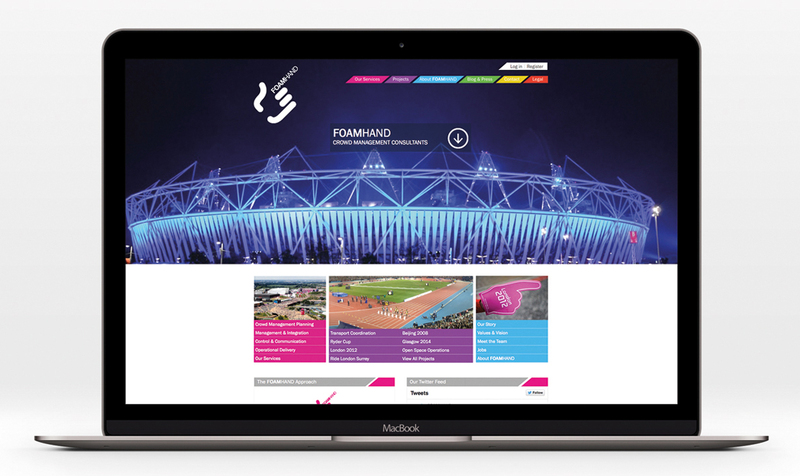 Displaying and anticipating upcoming sports events is key to Foamhand, whose business centres around the hype of such occasions. One of our favourite features is the events countdown on the website.